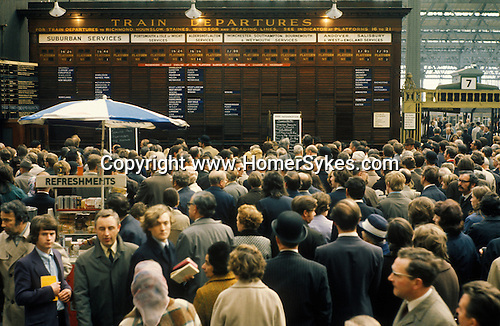 Waterloo main line train station 1972. Evening rush hour train commuters wait for information due to delays. London England.